Let’s try a little exercise. Grab a pen and paper. Quickly write down three things or activities that you are currently doing that you would prefer not to do. Don’t over think. Go with what comes to mind quickly. Next, write down three things or activities you are not doing that you would like to be doing. From these lists, spend a minute or two reflecting and ranking each in order of what would be most beneficial to you. What would most help you improve yourself? Take each of your number one rankings; something you now do that you would rather not want to be doing, and something you’re not now doing that you would like to be doing, and set up the three R’s of habits around them. Reminder, Routine, Reward. Commit to this for just a few weeks, or 21 days, or really any amount of time you can comfortably commit to. My biggest tip for you is the reminder- don’t leave it to yourself to do the routine each day– you might well forget! For detailed instructions on how to do this check out James Clear’s blog article “The 3 R’s of Habit Change: How To Start New Habits That Actually Stick “. It’s useful and interesting. I’ve been saying that a lot lately. Because it’s a fact. Almost everything that has value, almost everything that has purpose, requires work on our part to attain it. We have to put in the effort to get what to where we want to go. So what about you? Have you been coasting? Stealing from Think and Grow Rich by Napoleon Hill: Write down whatever it is you want to build for yourself in life. Then every morning and every night, read that aloud. Out loud– Hear it in your voice and in your heart– Welcome it into the world. The following summary of Napoleon Hills 17 principles is useful and interesting. Check it out. Numbers 1, 3,9,13, and 17 are my favorites. Less Brown shares a moving number 13 in this weeks video. 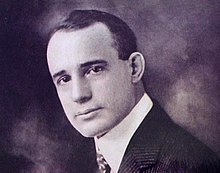 Napoleon Hill: (October 26, 1883 – November 8, 1970) was an American author and impresario from the new thought tradition of the previous century to become an early producer of personal-success literature. Hill wrote that the turning point in his life had been a 1908 assignment to interview the industrialist and philanthropist Andrew Carnegie In 1908, Carnegie was among the most powerful men in the world. Hill wrote that Carnegie had actually met with him at that time and challenged him to interview wealthy people to discover a simple formula for success and that he had gone on to interview many successful people of the time.